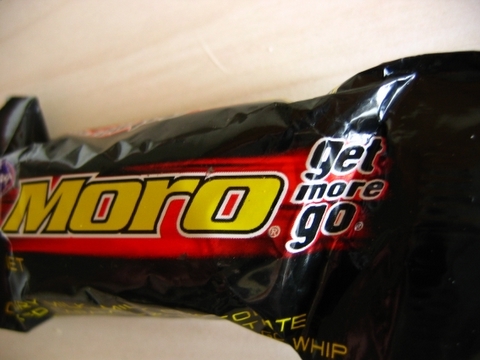 As promised, candies of New Zealand, beginning with the Moro bar. The packaging reminds me of the Turbo Truffles they sell at the Coffeehouse. The chocolate is a little difficult to describe. It’s milk chocolate covered caramel and “nougatine whip,” which is at first reminiscent of a Milky Way. But the flavour is more savory than a Milky Way. It also tastes a little bit like coffee, which is odd because coffee isn’t in the ingredients. Snifters look like little green footballs, or Easter Egg candies. I tried to bite down to get to the peppermint nougat inside and was rewarded with a hard, unyielding surface. 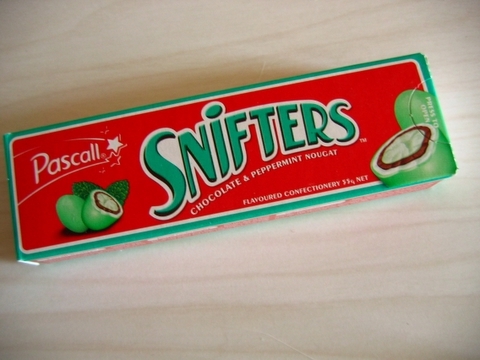 Snifters are very minty. I can’t stress this enough. The outside coating is almost electrically minty, to the point that I feel as though I am biting down on toothpaste. After about thirty seconds, the green part of the outer layer melted away, leaving a white surface that was less minty and more sugary. Then it began to crack and give way to the chocolatey inside, and suddenly my mouth was filled with a rush of chocolate and creamy nougat. At the very center, though, the nougat was hard and wrinkled, more like a hard candy. I’m not sure if this is due to shipping or if the candy is meant to be this way–I can’t say I was a big fan. 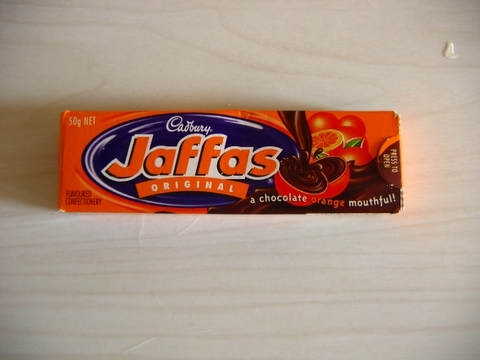 Jaffas, on the other hand, I can get behind. I thought that they were going to be like Snifters, only they weren’t. They are bright red and round and small, and filled with chocolatey goodness. I didn’t get as much of the orange, although it was a soft, lingering flavour in my mouth. They made me think of oversized M&Ms, with the hard candy coating and soft chocolate innards. I can see how these might get addictive. Sadly, Jelly Babies are a little gross. 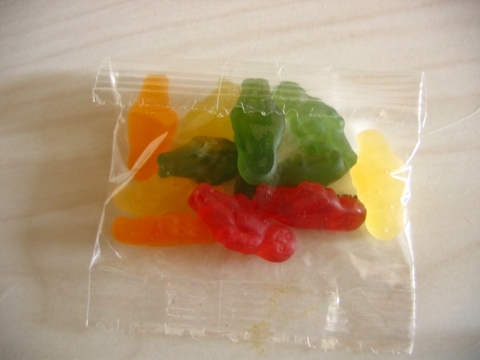 They are gummy candies, but there is something mealy and odd about them. They are still worth eating for the novelty, though. Jelly. Babies. I have a couple of packs if someone wants to try them out. You know, just so you can say you’ve eaten babies. 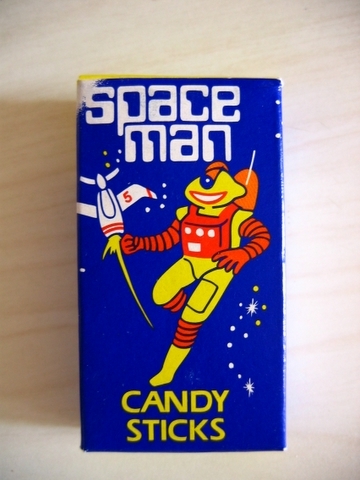 Spaceman candy sticks are really kind of neat. At first, they are like conversation hearts (or Necco wafers, for that matter). But then the flavour yields to something like Bubblicious. It’s odd. I’m kind of into it, though. They feel like pure sugary trash. I’m not sure how space relates, though.